Did you know one in five children in the United States is obese? What a startling statistic! Childhood obesity easily gets overlooked, but it is a major issue for many of our country’s youth. Not only are overweight children at a higher risk for serious health conditions, but they often run into challenges socially which can lead to devastating struggles—low self-esteem, depression, isolation. Additionally, many children in our world are impacted daily by bulling, violence and abuse. They live in constant fear and do not know how to navigate these scary and often dangerous situations. It is heartbreaking to think about. September is a month set aside to bring awareness to these situations that impact children. So what can we do? There is no easy solution, but there are many ways our community can support children on their journey to health and safety. One of the most important? Being good role models ourselves. Children are impressionable. When they see us making good, healthy choices, and standing up for what is right, they are bound to emulate those same behaviors. 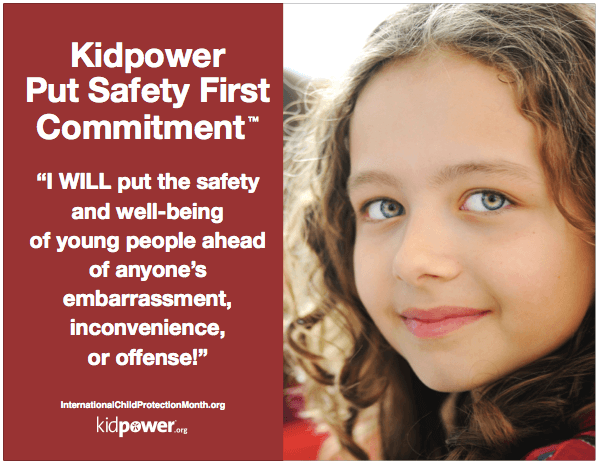 Partner with Dr. Abby and Kidpower and take the Put Safety First pledge! Click here for more information about National Childhood Obesity Month. Click here for more information about International Child Protection Month.